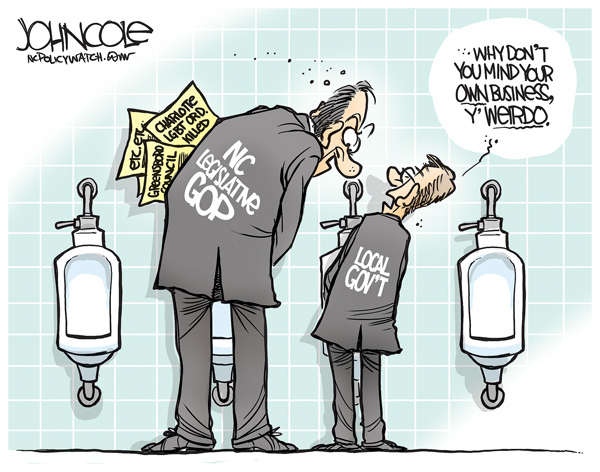 McCrory must have it out for Charlotte. He said NOTHING to Margaret Spellings at UNC, who is also following Federal law and not enforcing HB2. The NC GOP's new spokesperson makes tasteless jokes about transexuals on her Facebook feed, so the party seems to be doubling down on the hate front.